Is it snowing in Mt Rose Ski at Tahoe ?Thank you! 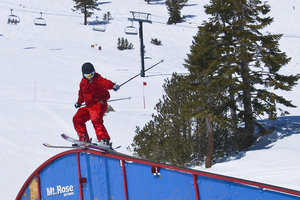 Mt Rose Ski at Tahoe has terrain at an elevation of 7,900 feet. Both day lodges are at the 8,200-foot elevation, yet it is close to the large population and tourist base in Reno. 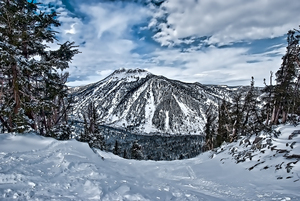 With the opening of the Chutes at Mt Rose Ski at Tahoe, a 200-acre playground for advanced and expert skiers and snowboarders, Mt Rose Ski at Tahoe offers 1,200 skiable acres along with spectacular views of Lake Tahoe and the Sierra mountain range to Nevada's high desert mountains to the east. 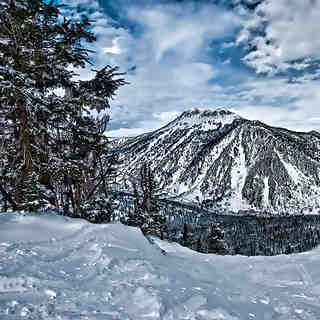 Elvis Day - come help us celebrate the Kings birthday on Saturday Jan. 10 you will find Elvis everywhere on the mountain. Mt Rose rips! 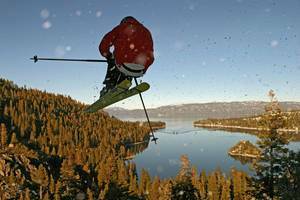 Mostly it's a family oriented resort w/ less fancy lodges and less beautiful people than Squaw etc... but "the chutes" which opened up in 2005 or so, are, hands down, the best in-bounds steeps in Tahoe. Not much traffic on them so you can find powder a few days after a storm, especially if you've got the guts to tree ski at a 45 degree pitch.